Posted on 19, March 2019 by Istituto Superiore Mariom Boella | This entry was posted in Automotive, France, Germany, News, Security & Safety, Spain, Technology, Transportation & Logistics and tagged automated driving, automotive, autonomous driving, EGE, EGNSS, engine for autonomous vehicles, ESCAPE project, European GNSS Agency, FICOSA, Fundamental Elements, GALILEO, Global Navigation Satellite System, GMV, GNSS, GNSS receiver, GNSS-only positioning algorithms, GPS+GALILEO receiver, IFSTTAR, Istituto Superiore Mariom Boella, Renault, safety-critical applications, the ESCAPE GNSS Engine, Université de Technologie de Compiègne (UTC). Bookmark the permalink. BARCELONA, Spain, 19-Mar-2019 — /EuropaWire/ — Autonomous driving is the hot topic of todays’ mobility and transportation world. Safety is the most fundamental requirement and, at the same time, the greatest concern about autonomous driving applications. The major perceived concern about autonomous driving is safety, at all levels of the technology and of the human interaction. In this context, the localization technology is a key element, as it enables the navigation of autonomous vehicles when operating without human supervision. To achieve this goal, the localization technology has to be designed from the beginning for safety. The ESCAPE project (European Safety Critical Applications Positioning Engine), funded by the European GNSS Agency’s Fundamental Elements Programme, has indeed pursued a safety-oriented design paradigm for its innovative automotive-grade localization engine for autonomous vehicles, the ESCAPE GNSS Engine, or EGE. The design of each component on the EGE, its development, integration and manufacturing has followed stringent safety-oriented criteria, which encompass automotive-grade Safety Integrity Level (ASIL) procedures and GNSS-oriented Required Navigation Performance (RNP). The solution leverages on the Global Navigation Satellite Systems, including the Galileo constellation, thanks to the new STM TESEO APP chipset, which supports ASIL-B platforms. This is complemented with intelligent automotive cameras and low-cost inertial sensors, vehicle odometry, lane-level navigation maps, governed by GMV’s integration algorithms. The GMV’s real-time Precise Point Positioning service, as well as the use of highly precise maps, are the keys for enhanced accuracy, enabled via a high-speed connectivity of the vehicle. The unique feature of such a multi-layer design is the estimation in real-time of the integrity level associated with the location estimates, which is also the fundamental element for safety-oriented navigation. 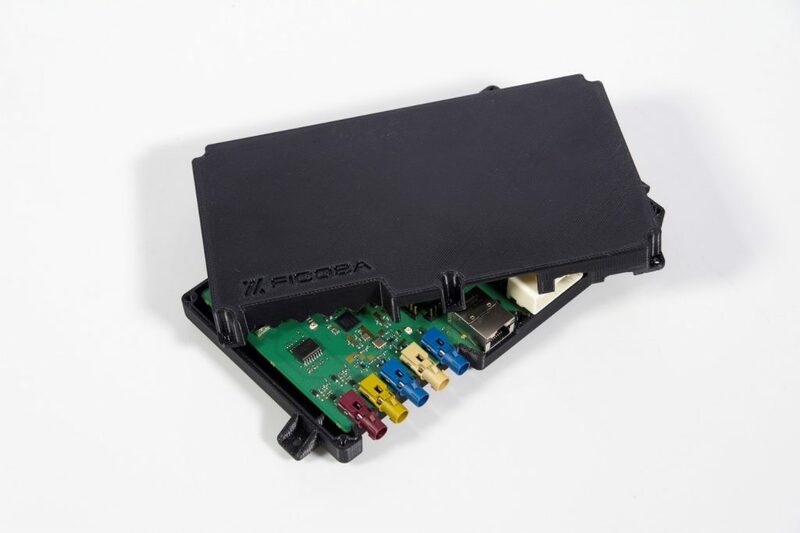 The ESCAPE GNSS Engine is assembled and manufactured by FICOSA and will be validated through an extensive test campaign on-board of a Renault’s electric car. The first accuracy results obtained from the GNSS-only positioning algorithms in a medium-multipath propagation scenario have offered a promising 0.3 m RMS horizontal accuracy in static and 0.5 m in dynamic conditions. The project is also planning a final demo at the Université de Technologie de Compiègne (UTC), in France, in which a test car will show its enhanced/autonomous driving capabilities enabled by the EGE board. Autonomous maneuvers will be demonstrated along a controlled circuit in the UTC campus, while enhanced ADAS functionalities will be demonstrated along public urban streets in Compiègne. The final demo will be organized in late November/December 2019. The ESCAPE project’s most recent achievements will be also presented at the 2019 edition of the Munich Satellite Navigation Summit at the Session 8, dedicated to “THE ROLE OF GNSS WITHIN THE CONTEXT OF AUTOMATIC DRIVING”. This press release can be downloaded from this link.